Lint brush for your Singer Featherweight. 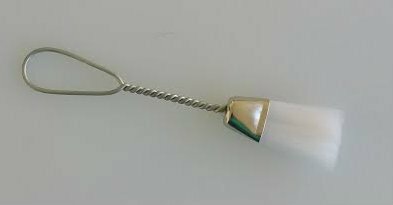 Great for removing lint from under the needle plate in a hurry. See the May 2015 Tip of the Month for more information. Nova sold out of 'original' lint brushes immediately after the May Tip of the Month. The lint brushes that are available now are new reproduction lint brushes that work very well.